As we mentioned with very little enthusiasm during our Diff'rent Strokes episode, the later years of the show featured new "cute kid" Sam (Danny Cooksey). The redheaded son of Drummond's new wife (Dixie Carter/Mary Ann Mobley), Sam played Arnold's foil/compadre, allowing Arnold to play big brother. As a kid watching at the time, it seemed Gary Coleman had gotten too old and saddled with seriousness and a dopey sidekick. I didn't like it, and it soured me on the show. Because we'll go to great lengths for our listeners, I decided to watch a couple Sam episodes and see if that feeling held up. I will say I don't blame Cooksey for any faults I found then or now. He was just a kid who, it seems, fell into an acting career while pursuing a music career (more on that at the end of the post). Besides, he had to live in the shadow of Coleman's obvious charisma and talent. I picked two episodes from season 7 (1984-85), Cooksey's first full season (he and Carter also appeared in parts of season 6). First up, "Arnold Saves the Squirrel" (January 12, 1985). Sam attends a taping of local kids show Sandy the Squirrel, where Sandy (played by living legend Chuck McCann), announces to the kids in the nut gallery that the station has canceled the show. Sam takes it especially hard (as does housekeeper Pearl, who has a thing for Sandy), and things get worse when they learn his mom has been offered Sandy's timeslot for her aerobics show, a big move from cable (oddly, Drummond says he's glad because he won't have to stick an antenna out the window to watch her show now. You'd think a tycoon would understand how cable works). Even a Van Halen t-shirt-wearing Arnold can't console the moppet. In a strange meta moment, Drummond suggests Sam start a write-in campaign. After all it worked real-world show Cagney & Lacey (this really happened, but the show aired on different network--CBS--than Diff'rent Strokes). Drummond gladly admits that he wrote in because "that Cagney is a real knockout!" Arnold and Sam bring a petition signed by eleven people to the studio, but the smarmy station manager laughs it off and says they need 10,000 signatures! Despondent, they write as many letters under as many names as they can--well, Arnold and Willis do. Sam just licks the envelopes. They know they can't make impossible numbers, and Drummond doesn't approve of phony letters, so they're about to give up when Arnold has a brilliant idea. He enlists Sam's Cub Scout pack to help recruit Scouts from all over New York. During Sandy's last episode, Arnold storms the stage, and the Scouts dump all their letters on the floor. Sandy gets his job back (with a raise), Sam's mom loses her opportunity (but doesn't care 'cause her baby's happy), and Pearl confesses her feelings to a surprised and delighted Sandy. In this episode, Arnold still gets plenty of jokes, and they feel in character--a kid who likes to crack wise--just not as unique. He seems like a mature kid in a slightly small body (at this point Coleman was around 17, playing 15), but he no longer has the incongruity of his size versus his maturity/wit. Meanwhile, Sam never has the uniqueness because he just seems like a little kid (Cooksey was around 10, so he he might be playing young, too). Sam gets a few kid comedy lines, but mostly, he plays the "emotional" points, and, dare I say it, that kind of works. It allows the show to have a story that might appeal to little kids--losing a favorite show--and Arnold and the family to come to the rescue while Sam learns something. Nothing brilliant but nothing offensive. Well, maybe the show trying to put over Sam's "puppy dog eyes." "A Camping We Will Go" (February 23, 1985) centers more on Sam and his relationship with his two dads--Drummond (or Mr. D as Sam calls him, harkening back to the early days of the show) and biological dad Wes, a country singer played by legendary party animal country singer Hoyt Axton. Wes rolls in and out of town when it suits him, offering up folksy charm, bear hugs, and in Sam's view "fun." Drummond likes the big lug, but he can't compete. Arnold suggests Drummond use one of Wes' ideas and take Sam camping. Maggie agrees, but they also drag Arnold into it (despite his claims to have a trip to Cleveland scheduled). 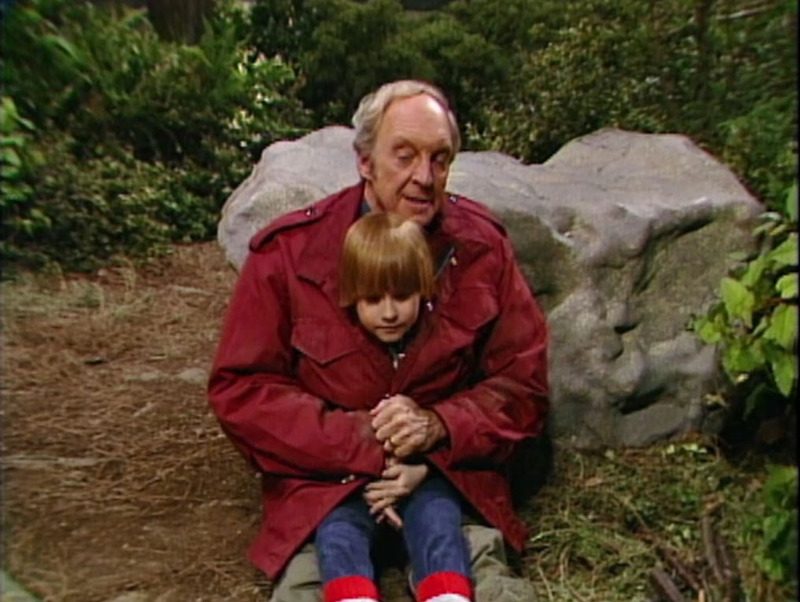 Being rich and a sitcom character, Drummond goes all out and buys all the ridiculous camping gear he can find (electric socks, a solar-powered stock analyzer, an already-inflated raft, freeze-dried fettucine alfredo). At the last minute, Wes shows up unannounced and ends up going on the camping trip with them. An expert camper, he just brings a big, hollow pole filled with everything he needs, and he says he's never slept in a tent. He and the boys go off to fish while Drummond sets up his tent. A skunk wanders in and sprays him, and he dashes for the lake, spoiling it for fishing. They also have to bury his tent and sleeping bag. The next day, Wes and Arnold set off to fish again, while Drummond and Sam go to collect more firewood (the wise Wes' idea to give them some bonding time). They get lost (Sam's fault, but Drummond doesn't know what he's doing either) and huddle for warmth. Sam confesses that he hates camping and reveals a penchant for stocks. Wes and Arnold eventually find them, Drummond blames himself for everything (teaching Sam the importance of lying), and Sam makes believe that he's a great camper, pleasing Wes (See? Lesson learned!). I like this episode a little more mainly because Conrad Bain gets to cut loose a little. Plus, Hoyt Axton brings a lot of charm to the screen (and looks a like a giant alongside Coleman and Cooksey). We also get to hear tiny Cooksey sing in a big country voice. Again, Sam doesn't get tasked with a whole lot of comedy. Instead, he (and Bain and Axton) holds down the emotional turf while others cover the comedy--Drummond's ineptness, Arnold's wise cracks. They could have done more with Arnold getting Drummond into this unfortunate incident, really gone the Laurel and Hardy route with it, and they could have done more with the Drummond-Wes conflict, but they only had 25 minutes. They did give us this enduring image. Conclusion. Sam doesn't usurp Arnold's importance on the show, but he doesn't bring anything special to it either and perhaps underscores its sentimentality. 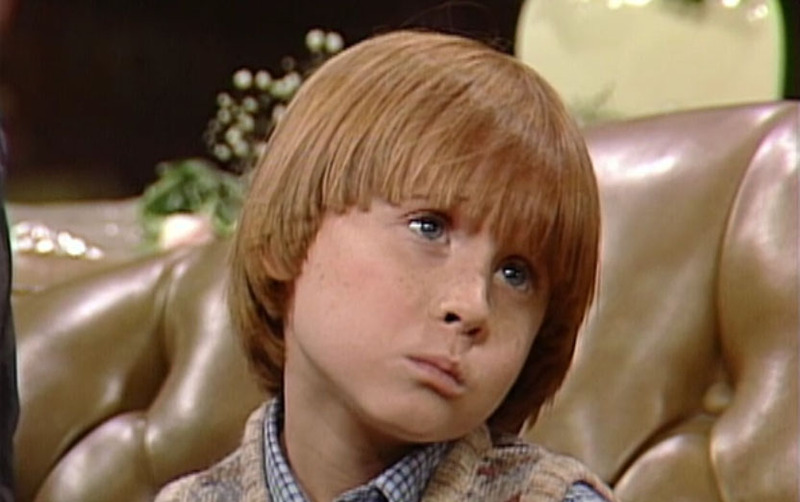 If you want to watch classic Diff'rent Strokes, go for those early seasons, but if you wind up watching episodes from the Sam years, it probably won't ruin your day or anything, especially if you're a little kid (our main demographic of course). Cooksey's acting career continued, including a role in T2 and a lot of voice-over work (Tiny Toons' Yosemite Sam-like character Montana Max). Plus, he fronted early nineties glam metal teen band Bad4Good. Enjoy! I love you, partner, but I don't think I can endorse this.